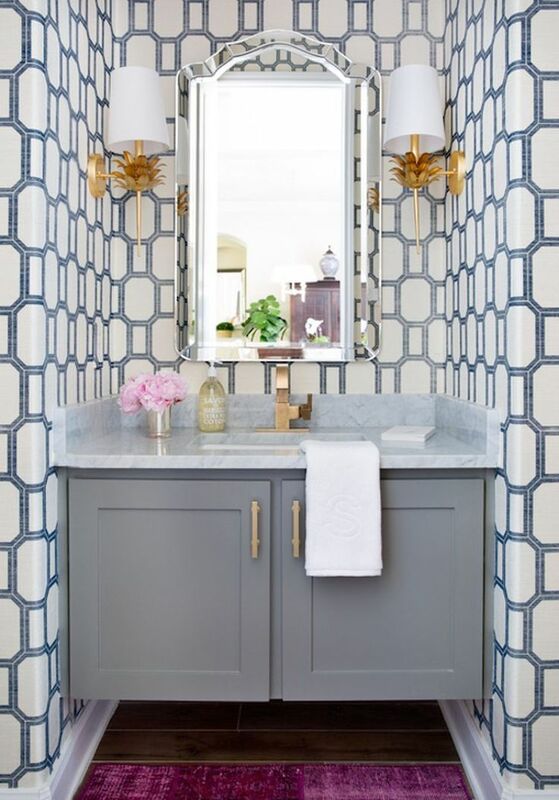 Looking for cool ideas for your bathroom? Today I have something special for you. 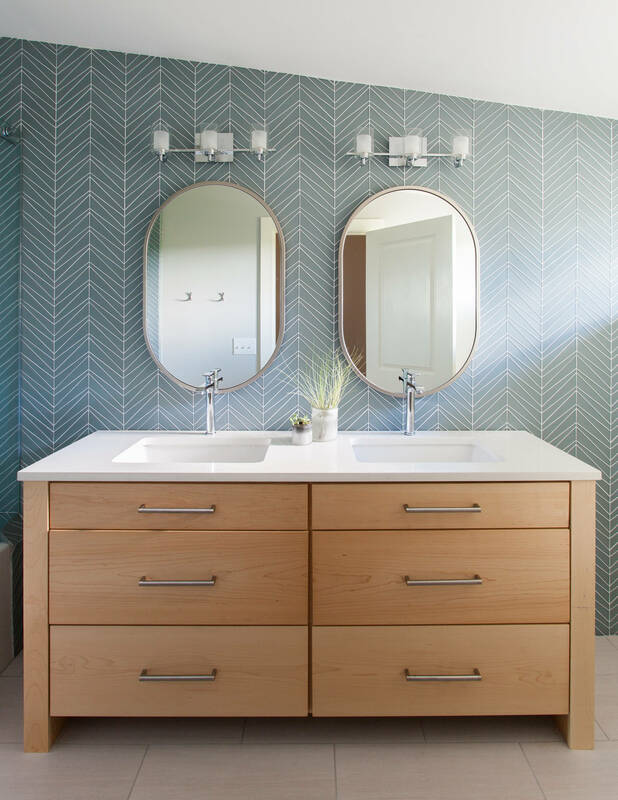 Bathrooms are usually designed in white, to achieve a clean look. But if it looks monotonous to you, why not bring a splash of color? 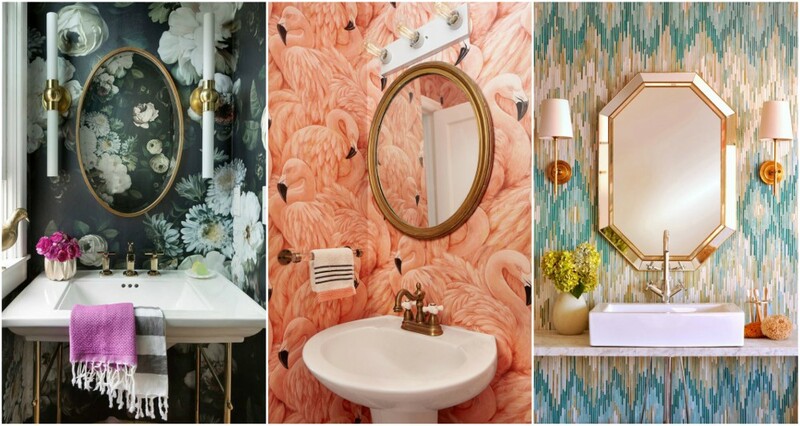 Check out these bathroom wallpaper ideas and get your inspiration! 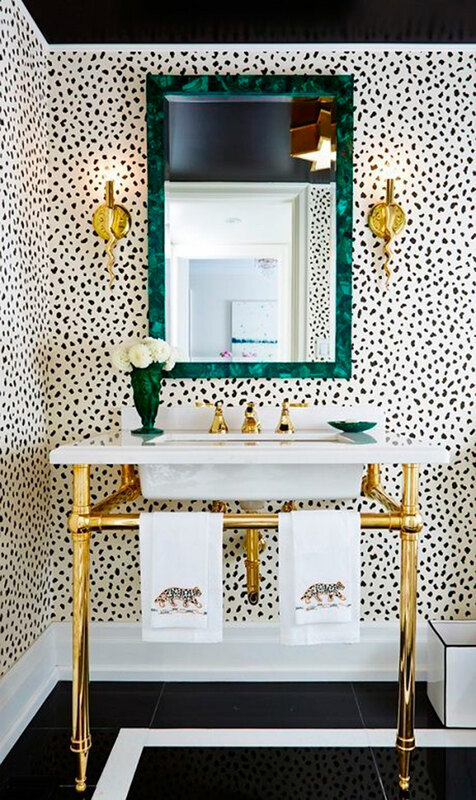 White is the ultimate color when it comes to bathroom design. It is so widely used. But if simpleness is not your thing, I would recommend you to go bold. 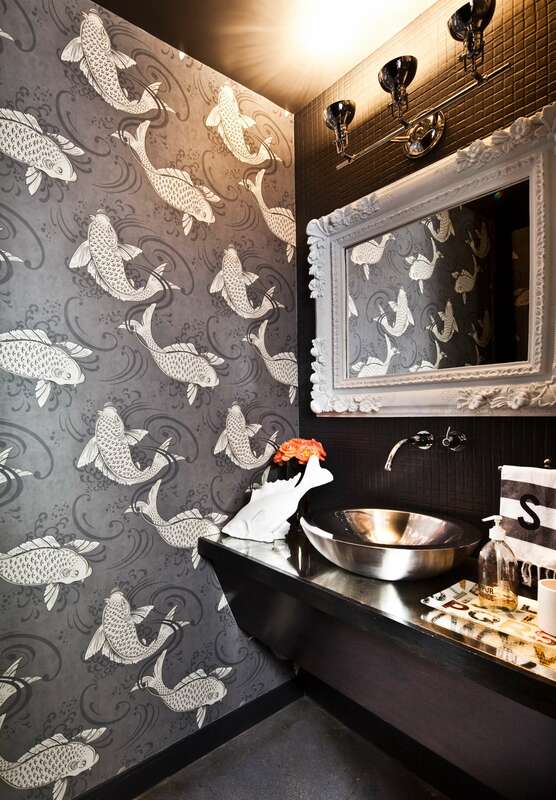 Since bathrooms are not only considered for their functionality, you can add a bit of personality in there too. 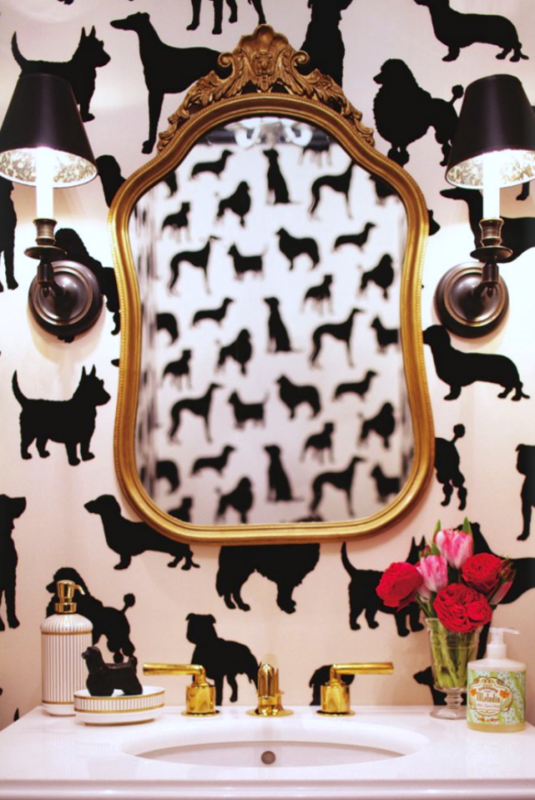 An outstanding wallpaper will be a good idea to achieve that edgy look. 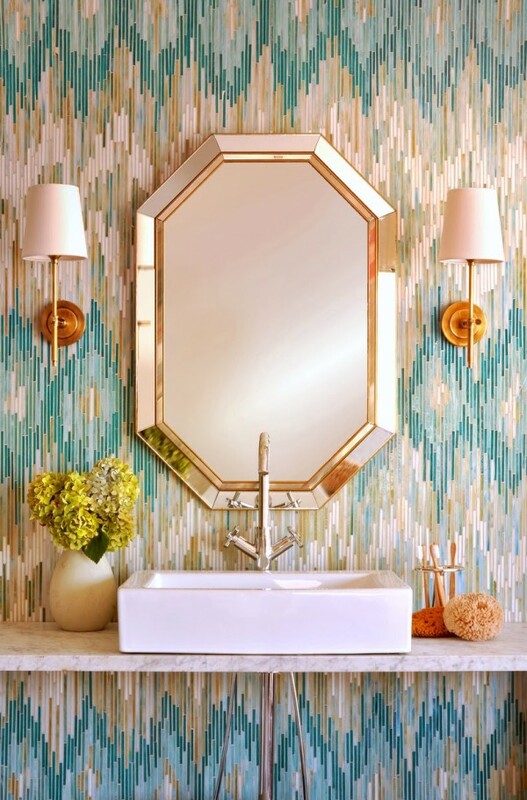 When choosing a wallpaper, choose a fun pattern that will match the style. First, consider what is the thing that you want. There are so many patterns to choose from:floral, geometric, animal print. Now the bold floral ones are a huge trend. You can implement them for a elegant and sophisticated look. 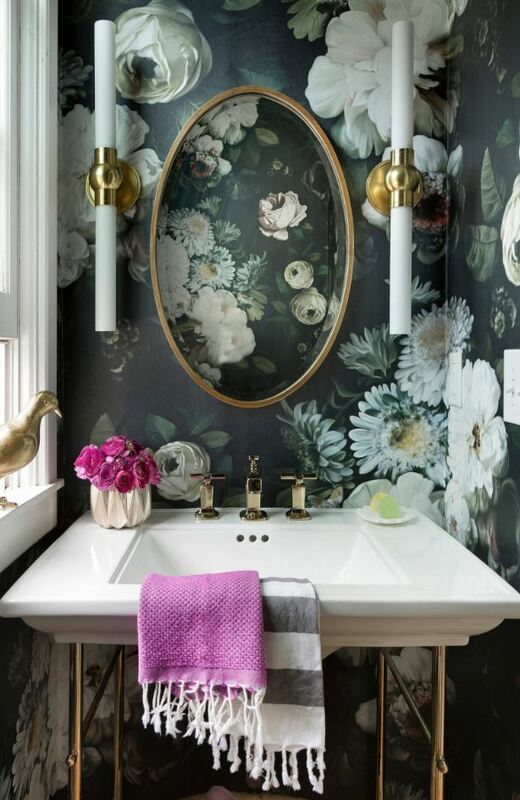 Wallpapering a bathroom is same as applying it in any other room. You can choose in which walls you want to apply it. You can cover the whole walls. 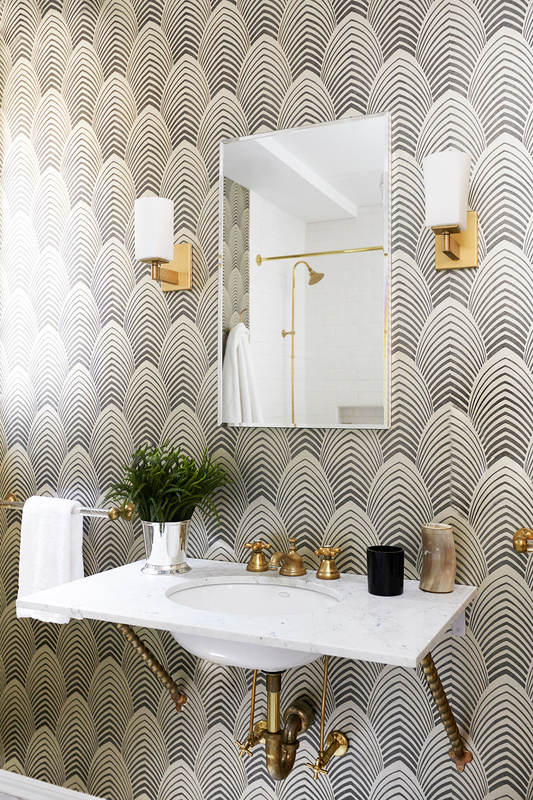 Or, you can choose an accent wall in the bathroom. 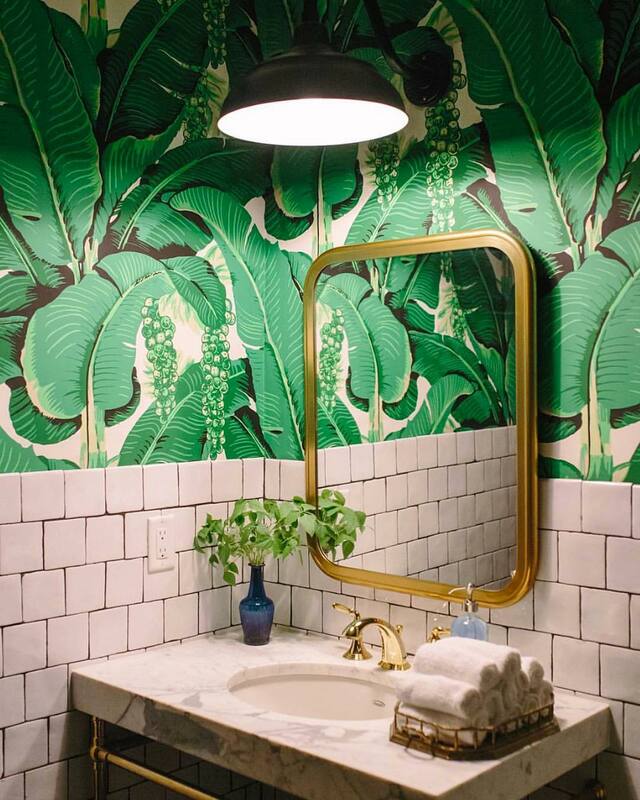 When using bold prints, designers would recommend you to stick to the accent wall rule. That way, you won’t shrink the small space and make it visually heavy. However, there is one thing different. 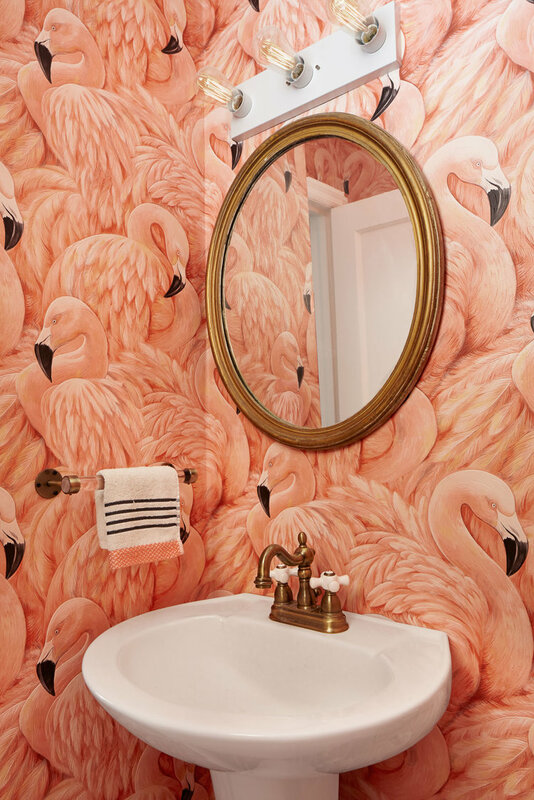 Since there is lot of moisture in the bathrooms you have to choose the right wallpaper. Use the proper adhesive that can stand up the conditions. 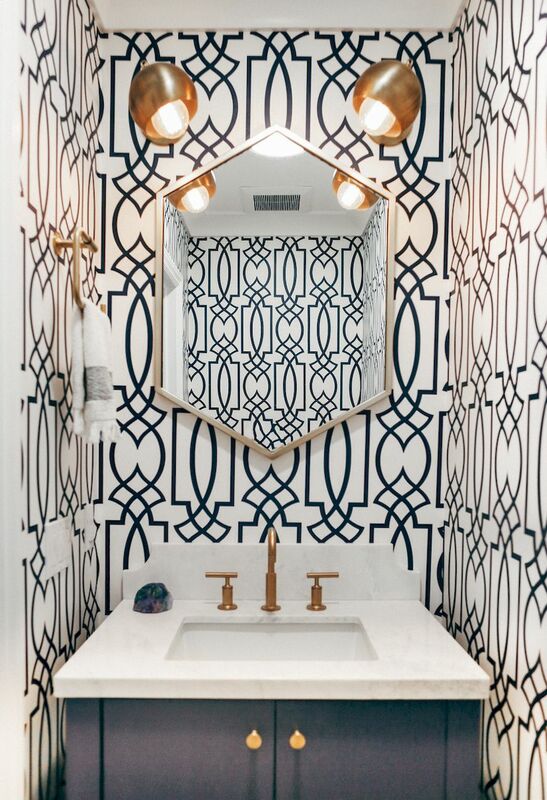 You might want to consider a mix of pattern and tiles. This is one great combination for any bathroom. The tropical print is a huge trend. It will bring a fresh look in your bathroom. And you are allowed to do half wallpaper and half tiles in the bathroom.